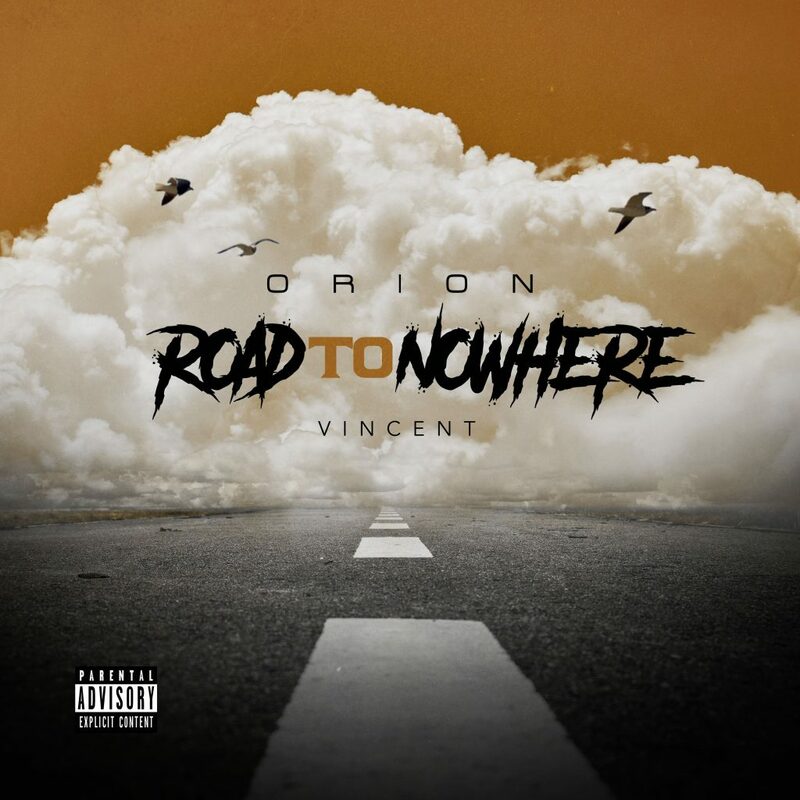 Orion takes a you on a journey with his first official album release titled ‘Road To Nowhere‘. 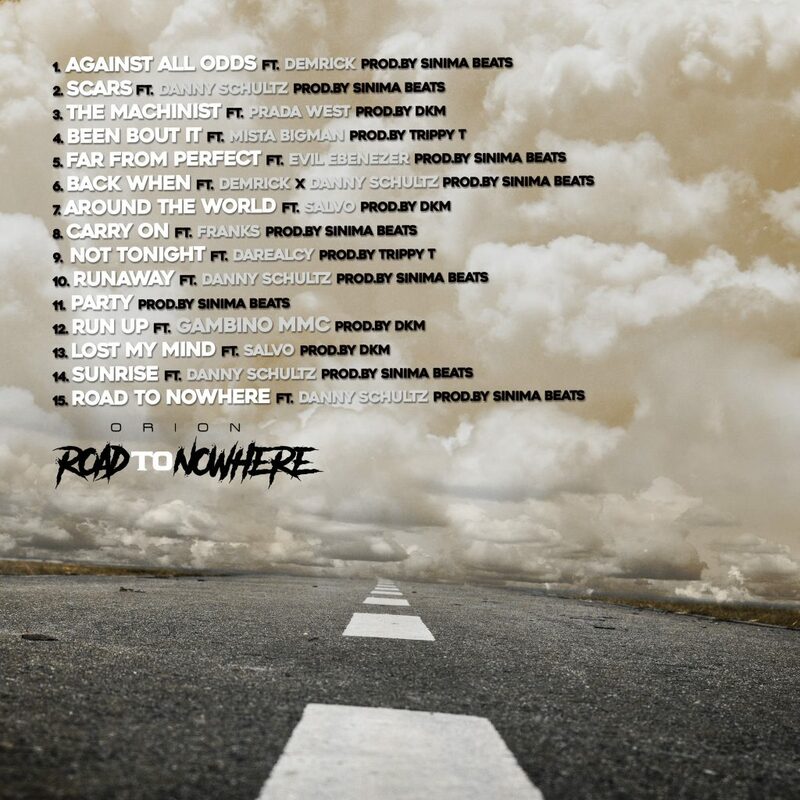 ‘Road To Nowhere’ features Demrick, Prada West and Evil Ebenezer to name a few. Monday to Friday working at his full time job. Weekends being dad to his amazing son. Between sports and work and parenting, Orion spends every free minute between the gaps working on music.While the story is the typical story of a stoner kid in high school who picked up the pen to write rhymes, the life Orion has seen growing up and everything that he has been through has played a huge role in his music, being able to be diverse with music and talk about past experiences about pretty much anything. 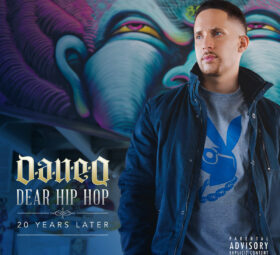 The hobby has been alive and well since 13, And there has been 30+ mixtapes that he has done over the years to maintain his passion. It wasn’t until this year that Orion decided to take it serious and put more energy and invest in himself. 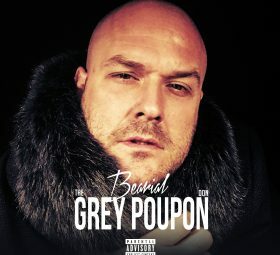 It has already paid off, with his very first REAL album release! 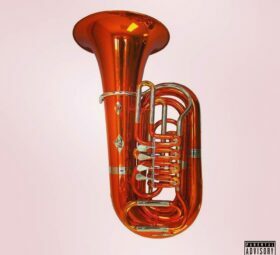 Professionally Mixed and mastered by Ronald Sagraves, and features from Demrick, Evil Ebenezer, Prada West amongst many others, this is definitely an album you don’t wanna sleep on!